Very large Southwest Pueblo Indian painted drum. 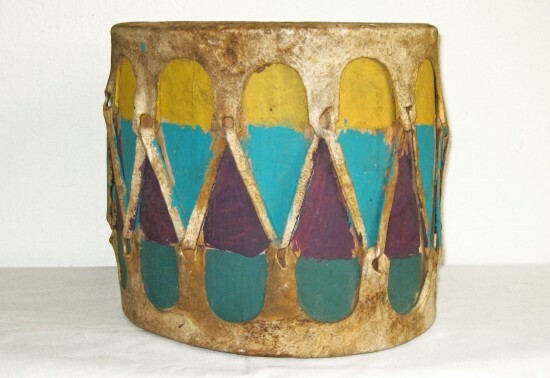 11″ diameter and 10 1/8″ high. Nice original condition with its original hide heads and ties. Early 20th C. From a CA collection.